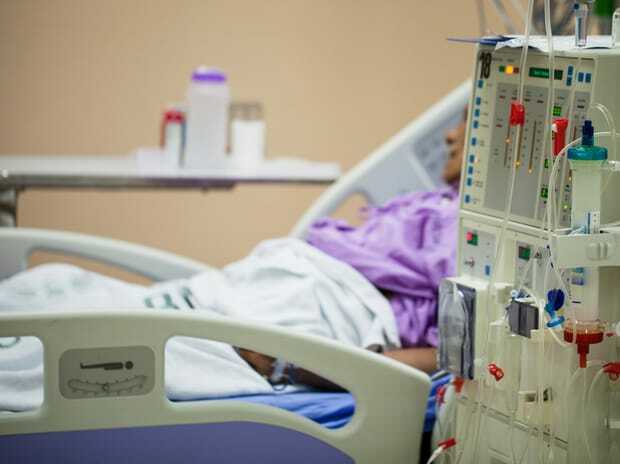 Fifteen Venezuelans with advanced kidney disease have died after being unable to get dialysis during the country's extended power outage, an NGO reported Saturday. "Between yesterday and today, there were 15 deaths for lack of dialysis," said Francisco Valencia, director of the Codevida health rights group. "The situation of people with kidney failure is very difficult, critical, we are talking about 95 per cent of dialysis units, which today likely hit 100 per cent, are paralyzed, due to the power outage," Valencia added. He warned that there are more than 10,200 dialysis-dependent people nationwide who were at risk by the blackout. Venezuelans since Thursday afternoon have been in the grips of the worst blackout in the history of the oil-producing country. President Nicolas Maduro government has charged that a US-led war on electric power supply was under way. The United States backs the interim presidency of opposition leader Juan Guaido. He is now recognised as interim president for more than 50 countries. Maduro told supporters Saturday that almost 70 per cent of power had been restored but at midday there was another cyber "attack at one of the generators that was working perfectly and that disturbed and undid everything we had achieved." Although Caracas and the states of Miranda and Vargas -- home to the country's international airport and main port -- had intermittent power, the western regions of Barinas, Tachira and Zulia remained without electricity.